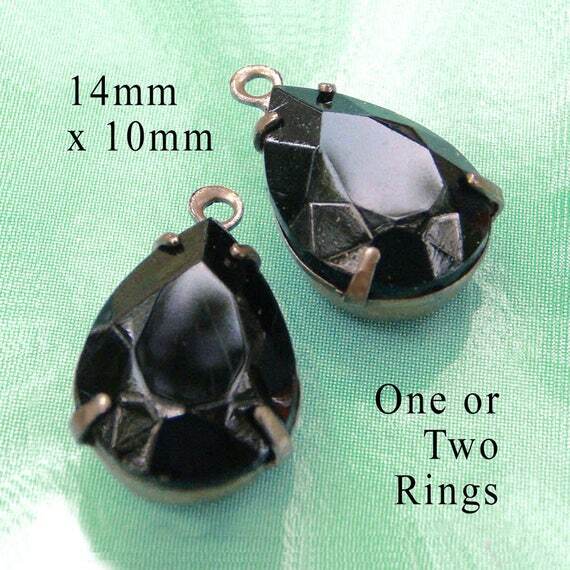 I totally lucked out, I’ve been able to resupply these adorable vintage black glass teardrops! I was almost out and thought I wouldn’t be able to get them again. But my Secret Stash Supply Guys were able to find some more, woo hoo! These are great used “as is” for earrings or pendants, but they’re also fab when paired with strong color. Turquoise beads handwired to dangle from your pendant? Great. Red rounds? Check. You get the idea. Neutral, or colorful – these are so useful! And they’re in great shape for their age (from the packaging, I think 1950s). Practically instant Christmas gifts? Super wear-them-tonight earrings? You got it!